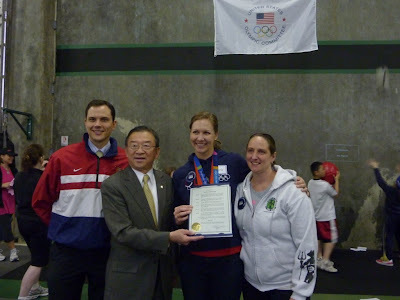 Home / Announcements / Bellevue Olympic Day – A Win for USA, Crossfit Bellevue and Cummins Chiropractic! 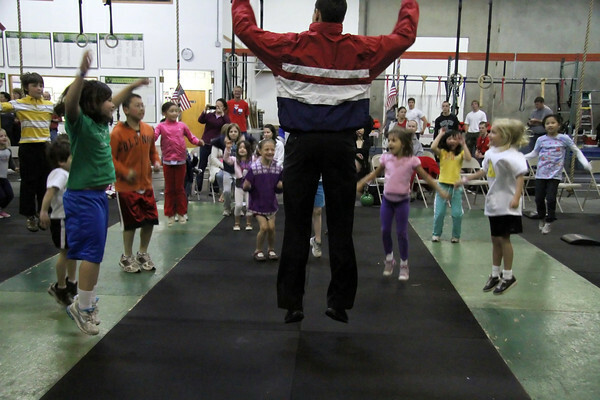 Bellevue Olympic Day – A Win for USA, Crossfit Bellevue and Cummins Chiropractic! Dr. Cummins helped the participants get warmed up for the June 23rd Olympic Day Decathlon. Bellevue’s Deputy Mayor, Conrad Lee, presented Dr. Cummins, Olympian Anna Cummins, and Crossfit Bellevue Owner Leilani Cerrillo with an official City of Bellevue June 23rd Olympic Day Proclamation.